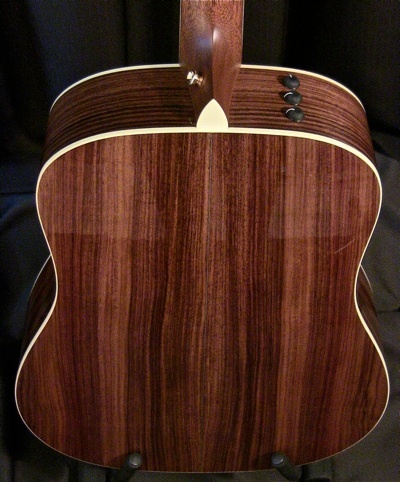 We carry the Engelmann/Indian Rosewood Taylor DN7e Dreadnought. Currently out of stock but available by order. 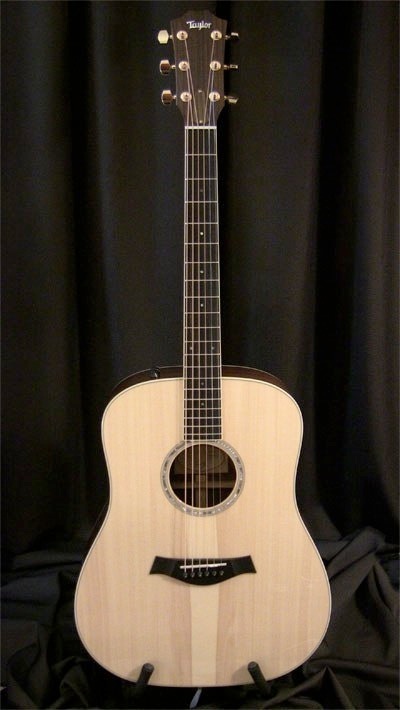 From Taylor’s Acoustic Line, the DN7’s heritage is that of a clean traditional aesthetic; a guitar without a cutaway or pickguard, and with understated appointments. My personal experience of this guitar left me with an appreciation for it’s overall balance of tone. A thick bass matched to glassy, shimmering trebles which responded well to a heavier right hand as well as a lighter fingerstyle. Another Taylor that plays effortlessly. What began as a traditional, boxy guitar shape that Bob Taylor inherited has evolved over time to honour the dreadnought’s enduring sonic heritage yet also refine the look and sound into a more modern package. The Taylor Dreadnought still boasts that powerful dreadnought tone that old school pickers expect, with deep lows and crisp hights, but with a voice that, like every Taylor, is more evenly balanced across the entire tonal spectrum. Perhaps more than any other shape, the Dreadnought remains linked with roots music like bluegrass and folk, in part because of its traditional role in defining those sounds. Pickers and strummers with an aggressive attack will love our Dreadnought’s blend of power and articulation, which allows for clear lead lines and crisp, driving rhythms. Even new models have a rich resonance that sounds like an older guitar.